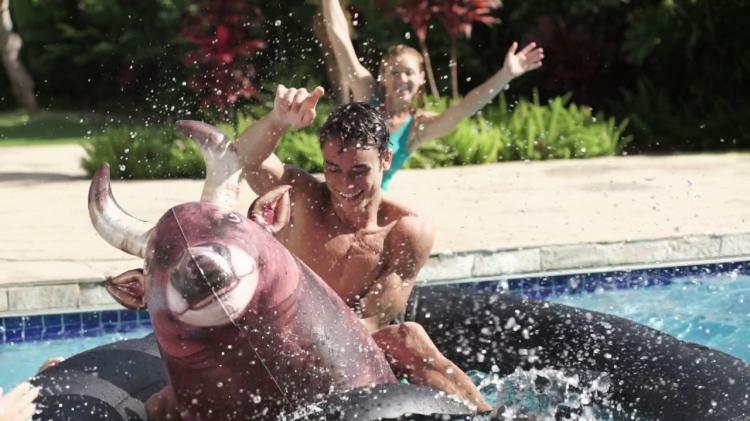 The mechanical bull riding toy is no longer just for drunk people at the bar, it's now also for drunk people in the pool. 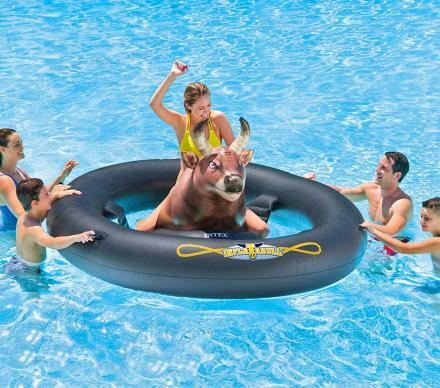 This inflatable bull riding toy, aka the Inflat-a-bull, is made just for the water, and allows you to practice your cowboy skills in the pool, at the lake, down the river, or in the sea. How it works is, the inflatable bull riding toy has a giant blow-up bull that sits in the center of an inflatable tube. You sit on the bull and attempt to stay on it while your friends are on the outside of the tube and rock it back and forth to get you to fall off. Using photo realistic printing technology, the bull in the center actually looks like a real bull, and will provide you and your family/friends hours of fun in the sun and water. But like the mechanical bull at the bar, the more you drink, the longer you're able to stay on the bull, or so you'll think. 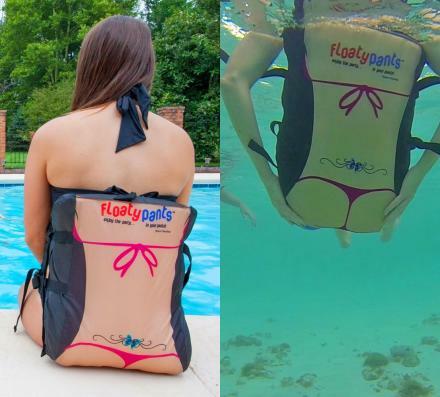 The giant inflatable bull riding pool toy is made from durable 17.5 gauge vinyl, has three different air-chambers that need to be inflated, and has durable grab-handles around the exterior of the tube for the shakers to get a good grip while attempting to make you fall off. 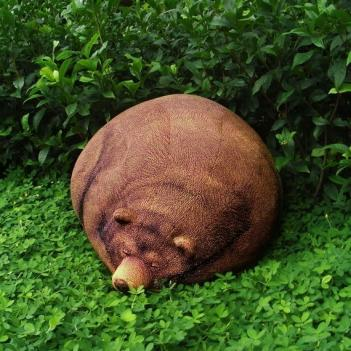 The bull even has his own little inflatable tube that sits right under him to keep him afloat, and to give you a chance of staying on the bull while being shook. The bull riding pool toy is made from thicker rubber than normal pool inflatables use, which allows it to support a much higher weight limit. 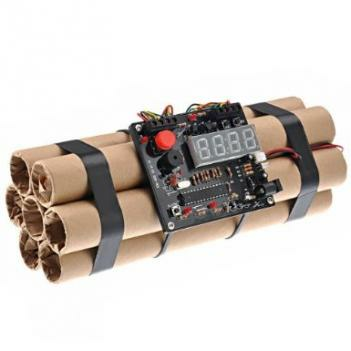 When fully inflated the bull riding rodeo pool toy measures 94 inches long x 77 inches wide x 31.5 inches tall, and is meant for kids aged 9 and up. 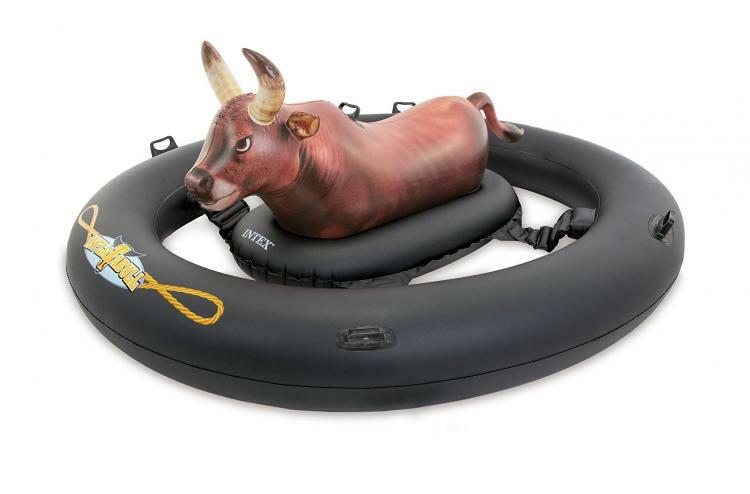 Check out the Intex Inflat-a-bull bull riding pool toy in action via the video below.